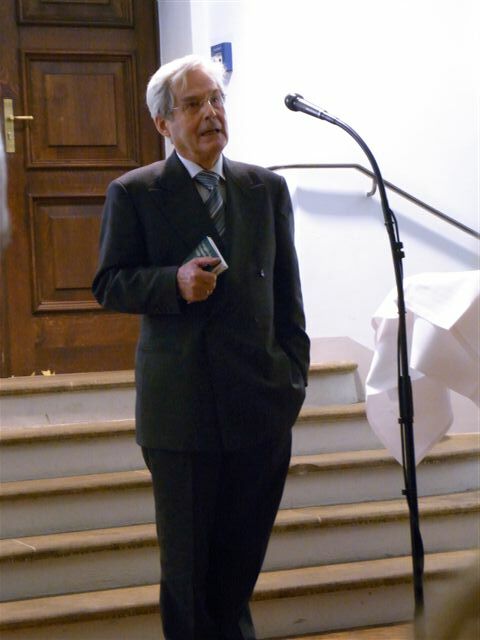 Professor Jürgen Henkys died in Berlin on October 27, 2015, twelve days after the death of his beloved wife Erika. He was 85. The German section of the Bonhoeffer Society esteemed him for his remarkable 2005 book on Bonhoeffer’s prison poetry, Geheimnis der Freiheit: Die Gedichte Dietrich Bonhoeffers aus der Haft and its predecessor publications. He served with Otto Dudzus as co-editor of volume 14 of the Dietrich Bonhoeffer Werke, Finkenwalde: 1935-1937, and was immensely helpful to the Bonhoeffer Works translation and editorial team who worked on the English translation of that volume. Henkys grew up in East Prussia and attended university in West Germany. He was among those young pastors who followed the church’s call in 1953 to move from West Germany to East Germany to fill pastoral vacancies there. In 1956 he became an instructor at the Predigerseminar in Brandenburg led by Bonhoeffer’s student Albrecht Schönherr, which led to a life-long friendship between the two men. In 1965 he was called to the church-run theological college in East Berlin, where he taught practical theology. In 1991 the faculty of the theological college was merged with that of the Humboldt University, from which he retired. Henkys collected and translated many hymns from other languages into German. Twelve of these are included in the standard Lutheran hymnal, and thirteen others in its addendum, Singt Jubilate. He was devoted to his home parish in the Berlin suburb of Friedrichshagen, where he served for 35 years and his wife directed Christian education. He had an extraordinary ability to turn a phrase with delicate precision and to listen with profound empathy. His sermons of consolation at times of grief and loss were renowned. He was buried in Berlin on November 10 and on November 26 Bishop Markus Dröge held a central memorial service for him. The photo is from the reception held for his 80th birthday.